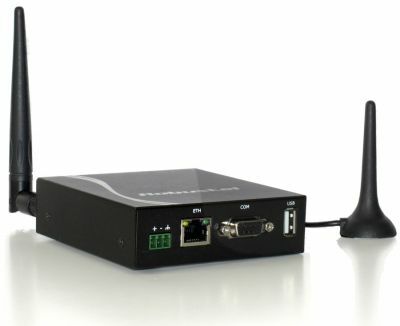 Industrial Cellular Routers connect Ethernet LAN and WLANs to the mobile 3G/4G cellular networks. Dual SIM models give increased reliability. High gain antennae are available for poor signal strength areas. Cellular routers are engineered to keep your machines connected in the most demanding environments. Industrial cellular routers provide secure 3G, 4G LTE, and LTA- Advanced (LTE-A) connectivity for applications in energy, transportation, smart cities and smart grid assets (meters, switches, controllers). The industrial cellular 3G and 4G routers are designed to interface LAN, WLAN, serial data, digital I/O and short message service (SMS Text). Now you can send and receive data from your serial M2M equipment wherever there is cellular mobile phone coverage. High gain antennae can be used in poor reception areas.